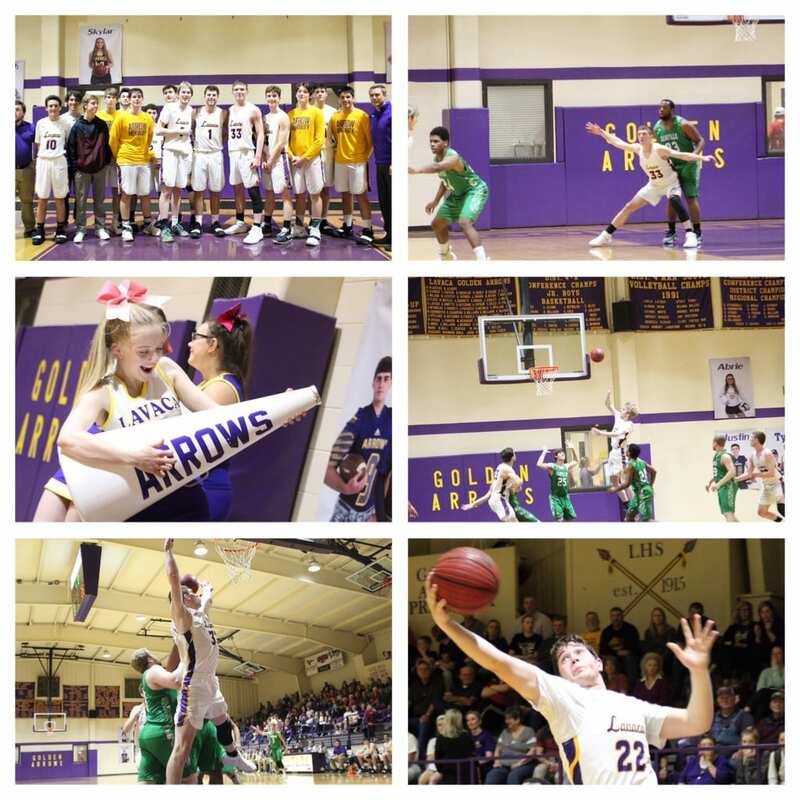 It was Senior Night in Lavaca last night. It was an exciting night for the Lady Arrows but it didn’t quite turn out as planned. The Lady’s game had a little bit of everything. Great defensive play kept the game close, but the Lady Arrows had difficulties finding the bottom of the net from outside, which has become a staple for this team. The Lady Arrows went into halftime down by just two. Every time Danville went on a run the Lady Arrows were able to answer but time ran out on Lavaca. With the clock under two minutes, the Lady Arrows were down by 6 and had to resort to fouling. The game ended with Danville having a 9 point win 30-39, but the reality is this game was much closer than that. For seniors BethAnn May, Hope Headley, Skylar Hyatt, Julianne O’Dell, and Avery Green this will be a bitter pill to swallow. 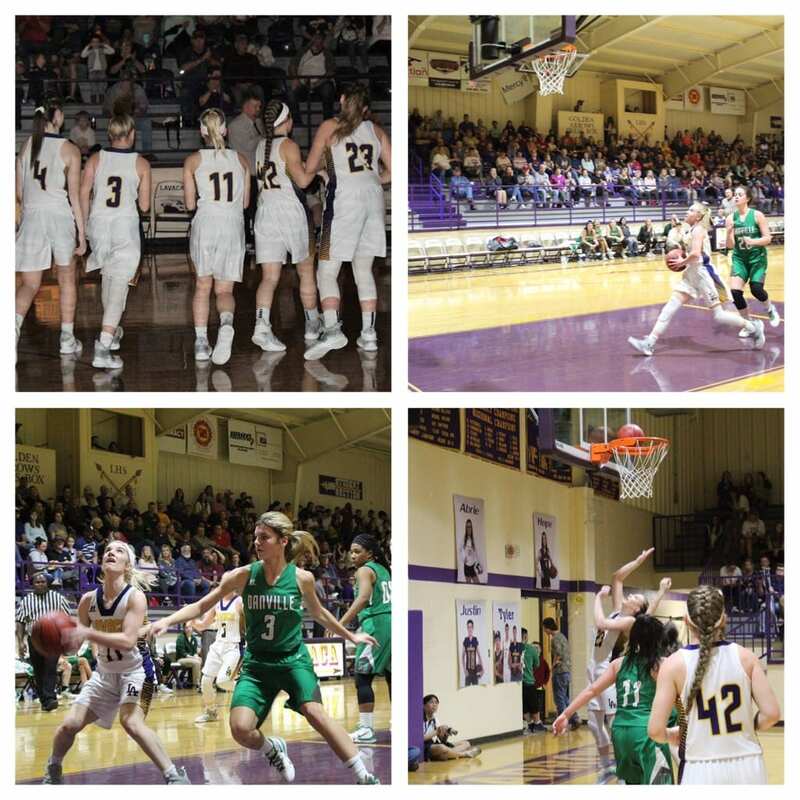 However, they have thrilled Arrow fans for the past four years and they should be proud of the accomplishments they have earned on this court. Coach Wyles said, “The girls played really hard tonight, we just struggled to get in a rhythm offensively. I thought the girls left it all out on the floor tonight, unfortunately it just wasn’t our night. I hate it for our seniors. We all wanted this one for them really bad. We’ll bounce back and be ready for the next one Friday night though.” Sierra Lamb led with 9 points and BethAnn May finished with 8 points. The Lady Arrows will have to have a short memory because their season is not near over. They will play at Lamar Friday February 8th at 6:00 in a non- conference game to get ready for the 2A-4 District Tournament. The Lady Arrows have wrapped up the two seed and could be on a collision course to meet Danville again. In the boys game, Senior Tyler Armistead got the start and took the court as the team captain. Tyler is the lone senior on the team and a leader on and off the court. Coach Reed told me that “This team look up to him as our lone senior, and our success is a reflection of him.” The Golden Arrows just keeps on winning. Last night the entire team played very hard and established dominance from the opening tip. 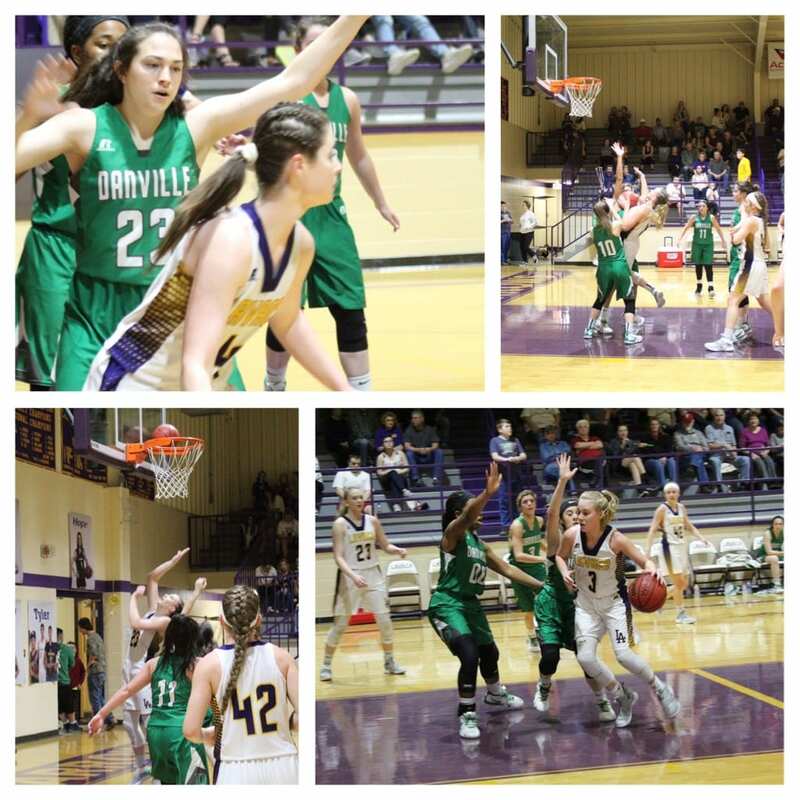 Danville has a very good and quick basketball team and Lavaca needed to have their stars be stars….and they did just that. Tyler Armistead, Jayger Wagner, and Tyler Hobbs did a fantastic job of staying in the face of the Danville shooters all night. Matt Melton and Mark Miller were stellar shooting the ball. Jordan Fenner and Cayden Hearn were strong down low against the Danville bigs. Coach Reed was not happy with the intensity of his team in the second half of the Hector game last Friday night, in their 61-51 win over the Wildcats. He was, however, extremely pleased with the way the team responded to his challenge going into last nights game. 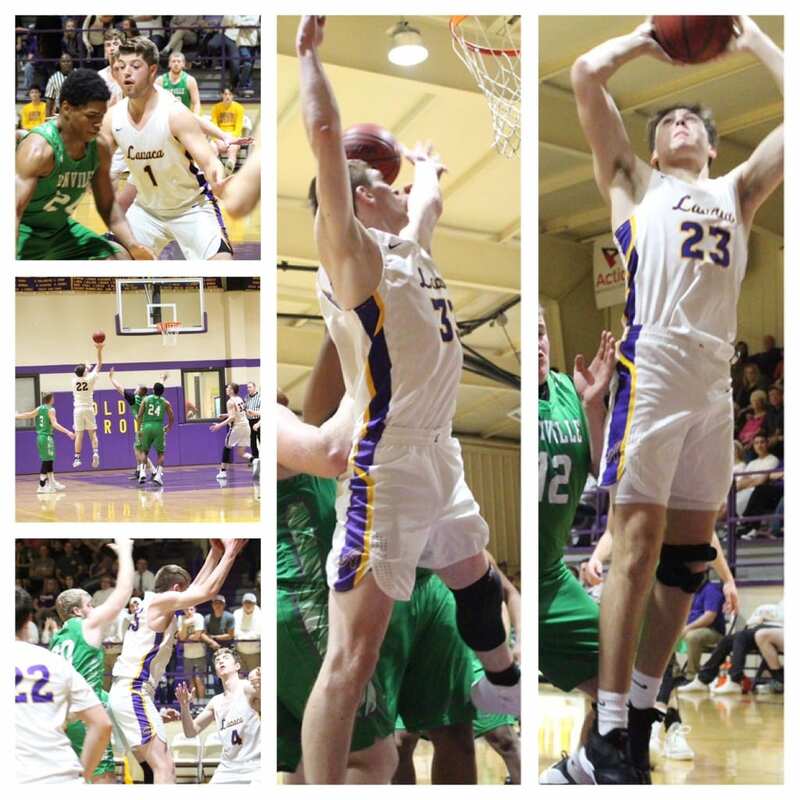 Coach Reed had this to say about last nights win, “We played hard tonight with a lot of guys stepping up.. Tyler Hobbs and Tyler Armistead played huge for us both offensively and defensively. Matt Melton hit some huge shots and led us with 22 points. Mark played well offensively late and had 14. I proud of our team, it’s not easy to win conference championships and to do it undefeated is quite an accomplishment!” This Golden Arrows team is a huge force to be reckoned with, and going into post season play the expectations couldn’t be higher. The Arrows have locked up the one seed in the 2A-4 District Tournament. Next Up for the Arrows is Lamar in a road game Friday night. This will be the last game before District.